Not only are cows wonderfully adorable and versatile, but it’s also a lot of money in it for farmers with a bit of land. As everyone seems to grow tired of the city and dream about greener pastures, so to speak, you might as well make a living from your farm dream. Keeping, and raising cattle is one of the most solid money-making decisions you can make, and modern farmers are finding new and innovative ways to progress and make their farms prosper. Here is a quick introduction to get you started, and to ensure that your young calves grow up to be healthy and happy cows. Before you can do anything else, you need to buy a lucky cow or two. It’s quite easy to find calves for sale that are already weaned both in the newspapers and online these days, but make sure the supplier has a good reputation. If you have no luck with the papers or the Internet, you may even list yourself as an interested buyer – and wait for the calves to come to you. 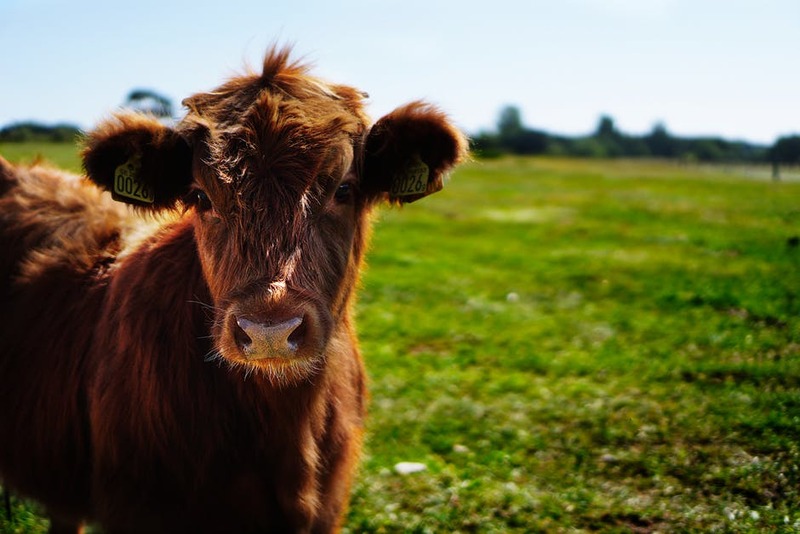 If you’re completely new to the farming game, it’s good to keep in mind that although you need a bit of land for your cattle to be comfortable, you can easily start off even if you just have two acres available as that’s what a single cow needs. You’ll probably want them to have a bit of space to roam around in, though, so start out small, to begin with, and increase your farm later on. They’ll need a bit of shelter as well to stay warm and comfortable, but you don’t have to spend a lot of money on building extensive sheds and barns – although it depends on the climate where you live. A simple wind break may be enough during the mild seasons, or you can find a cost-effective way to shelter your cattle by getting in touch with salt dome storage experts – they may be able to provide you with a quick installation for the winter months. While cows need to eat, as we all do, they also drink a lot of water. The average full-grown cow will drink between twelve and twenty gallons of water every day, so it’s smart to invest in a water tank you can keep in the field. It will keep them happy and hydrated. Those relying on a pond or a stream to hydrate their cattle need to remember that the summer may dry it out – while the winter causes it to freeze, so keep an eye on it and provide tanks of water in the field if you suspect the weather might leave them dehydrated. Salt and mineral blocks are also a must to keep them healthy, so read up on the best kind of mineral blocks for your cows before you get started. Brome, timothy, and alfalfa may be the best mix for pasture as it encourages grazing. When you’d like to raise beef cattle, it’s important that they eat hay of a high quality, by the way, to up your profit when it’s time to sell. It’s no wonder that cattle is such a popular animal to raise and keep on farms. Just remember that these are large animals and can, to an inexperienced farmer, be difficult to handle once they grow up. Respect their size, treat them with love and care, and be gentle – they’re your responsibility, after all.